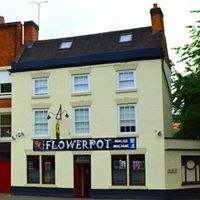 The Flowerpot is best known for its extensive range of both real ales and live music, is situated on the corner of King St and Chapel St. Always an ever-changing choice of real ale from local and national breweries, including a selection served straight from the barrel from our unique cellar bar. Open all day from midday every day. Tuesday Gurkha Curry evenings: Every Tuesday from 6.30pm try some authentic Gurkha Curry. Menu rotates every week.